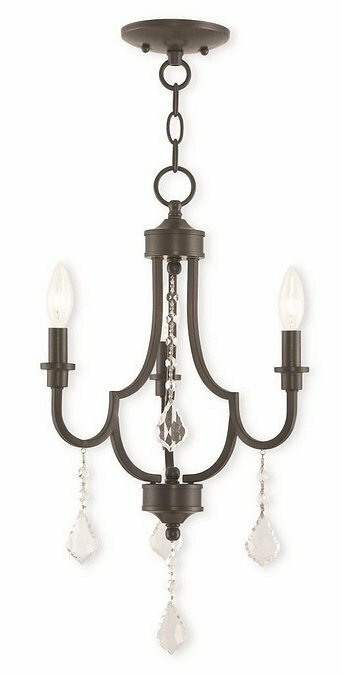 Livex 40883-92 - Bring simple, yet elegant, charm to your living space with this beautiful transitional three light mini chandelier. In a english bronze finish, the clear crystals on the mini chandelier provide a understated clean, look that's perfect for any room in your home. With Clear Crystals.